Connect to the internet through Wi-Fi; browse the internet, watch online video. Flexible and intuitive; allow the users to install and uninstall the apps from the Android market place to meet their individual needs. Your Android TV can be controlled by remote control as well as wired or wireless keyboard and mouse. It is convenient, fast and easy to use. I connected mine with a bluetooth mouse. It works… I surfed the internet websites that requires flash, I played Angry Bird, I watched a full movie using the PPS app yesterday night on my 42″ Sony Bravia. Cheaper than buying a smart TV, a tablet, a smartphone or a netbook, I got mine for SGD230. Does Android market have the smurf village app? I bought a Sony DSLR camera last Sunday morning. I had original intended to upgrade to a prosumer after using a compact digital camera since the year of its availability to consumers and kept my fully manual Nikon FM2 to rot in the dry box. So I was looking at the Panasonic LX5, the Canon S95 and the higher end micro four third Sony NEX5. But after researching for awhile, I realised they will never quench my hunger for what an SLR can really do. So I searched more on the bulkier entry to middle level DSLRs and zoom in on 2 units, namely the almost new Canon 550D and the newer Sony Alpha SLT 55. DSLR has been around for a while, and its smaller relative the micro four third, made famous by Olympus EP1, has also been a few years. So what makes SLT different? First, it’s in the name. SLT stands for Single Reflex Translucent. The revolutionary translucent mirror technology provide for faster shooting and auto-focus between shots, you will never miss a moment with 10fps. The second different is what Sony has just introduced into the camera family, the 3D Sweep Panorama has seamless joints so you cannot tell that they are taken from several shots. Third, Quick AF Full HD Movie Recording, which beats the Canon 550D hands down as the 550D requires manual focus. Forth, it comes with a Tru-Finder that is shows 100% of the actual photo taken as compared to other view finders, and it extrudes out of the body and LCD, which for oily faces like mine is really a very good plus! Fifth, the LCD screen tilts up or down and any angle for comfortable viewing in different shooting positions. It’s really useful if you’re not holding the camera close to your eye: for example shooting above a crowd or crouching down for an interesting viewpoint. Sixth, with a built-in GPS (Global Positioning System), it can tag images with the geographical coordinates of the location where they were taken. Seventh, it’s priced at SGD1,349.00 r.r.p., that’s affordable with all these features and I only need to eat less, but that’s a plus too. 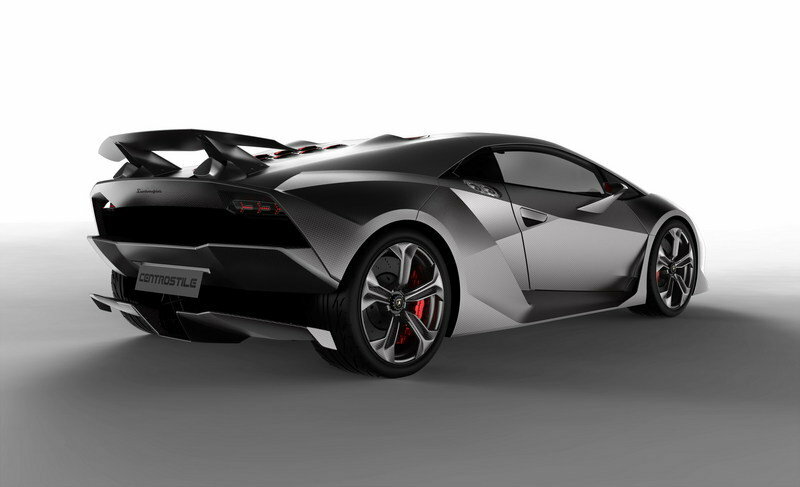 Automobili Lamborghini S.p.A made its new technology the centerpiece of its Sesto Elemento concept, which was introduced September 30 at the Paris auto show. 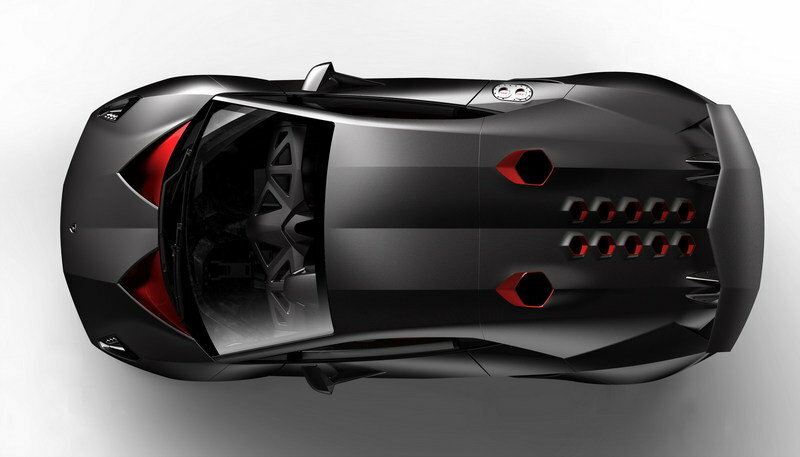 The car uses carbon fiber for the passenger compartment, the front and rear-end structures, suspension components, the interior, all exterior panels, and suspension components. Even the tailpipe is made from a carbon and glass-ceramic composite. The process, called “directed carbon-fiber pre-forming,” adds a very small amount of cobalt to the carbon fiber. The company then can robotically shoot a fine stream of carbon fiber into a magnetized mold at a rate of 6 kilograms per minute. 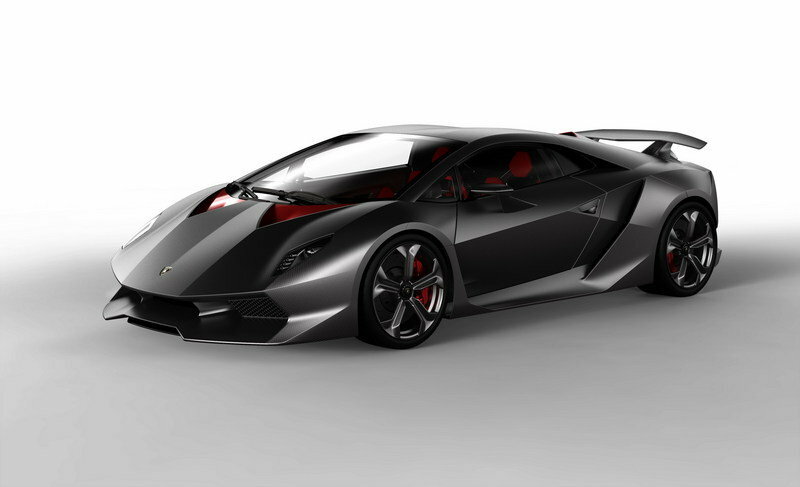 The Sesto Elemento concept car weighs 999kg, about 340kg lighter than the current Gallardo LP Superleggera. Quite a while back, when I saw something similar to this in a shop holding a dummy handphone, in my mind it goes “yet another gimmick”. This show how uncreative I am in the imagination department or maybe I am just not inspired by the look. When I saw this in Crave, I thought this thing is going to solve a lot of problems! The Spiderpodium consists of eight flexible, rubber-coated wire arms protruding from a rubber center. These arms can be bent and posed in pretty much any direction, orientation, or shape and will hold their position. Aside from your imagination, the Spiderpodium’s other limitation is the weight of the gadget being held, but again it depends on your imaginative mind to think how it is going to hold your stuffs. Gonno get one or maybe 2! The Dyson Air Multiplier fan works very differently to conventional fans. It uses Air Multiplier technology to draw in air and amplify it 15 times, producing an uninterrupted stream of smooth air. The advantage to this design is that you don’t have to worry about kids sticking their fingers into the fan and cleaning is as simple as wiping the ring with a piece of cloth. The Air Multiplier comes in three sizes. The 25cm and 30cm Table version AM01, available now in Singapore, costs SGD399 (USD297.14) and SGD429 (USD319.48), respectively. The former is available in iron/blue shades while the larger fan comes in white/silver and silver/iron colors. The bigger Tower AM02 and Pedestal AM03 versions which will set you back SGD699 (USD520.55). I booked a Scirocco like a day or 2 later and traded my 2years old Lancer EX for it. Being a selfish sports car with 2 doors and negative things happened (not to be discussed here), and 2 weeks later I asked to change it to a Golf. It has a 160bhp TSI engine, twin-charged (super and turbo charged)and 240Nm of torque from 2,000 rpm. I bought the car not knowing what it had or what it meant. Then I learn while waiting from early April 2010 to middle of July 2010 for it to be factory-fitted with a Bi-xenon headlight that does not come with a 1.4L and shipped to Singapore. What makes a continental car a quality car? It is in the details. The robust build, illuminated leg area and illuminated vanity mirrors in sun visor, “Climatronic” air-conditioning system with 2-zone temperature control, built-in touch screen which are integrated with all the controls including a park distance control display, quality tyres, the silence. And another thing, when you tune a Japanese car, you don’t really get much out of it, in fact you will void your car warranty. For European cars, you are welcomed to tune as warranty is covered by their authorised workshop and partners… and what you will get is astronomical, my golf now is about 200bhp with about 300Nm of torque after getting it tuned with mTm. Upgrade the steel rims to 18″ BBS CF with Michelin PS3 tyres filled with nitrogen makes the car lighter and even better to cruise with. I am still using the HTC Hero… it was great and it was lousy… it gave me instant view of the my stock portfolio and my hotmail and a full facebook site with a direct photo upload link and a good camera… it has 1 day battery life and it drop calls or even missed it. That’s bad since a phone’s basic function is to make calls. So, I traded in my Nokia E71 for it’s new brother, the E72 since that what it’s good for, making calls and lasting for days and its got free Ovi map! I was contemplating on getting the N8 but Nokia is just taking so too long to launch for its own good. But the Symbian on the E72 made me think twice of waiting for the N8 although it is going to be a major upgrade and it has a 12 mega pixel camera! Symbian is too slow! I can’t even surf properly, but not to condemn it because it’s not really a phone for surfing. The iPhone had said “In so many ways, it’s a first”. It’s the first with a good surfing OS, the first with the Wifi made so easy it’s idiot proofed, the first with a glass panel so hard it can crush a real apple without damaging the phone, the first to make a walkie talkie glamorous with its facetime software, the first to have a badly designed antenna and still lived to tell the good news to it’s shareholders, the first to sell online for SGD888 and people can still buy from you for SGD1300… how cool is that? I bought one for my wife… and I am going to get one for myself next month when the HTC Hero’s contract is up. subscribe and get your daily fix!